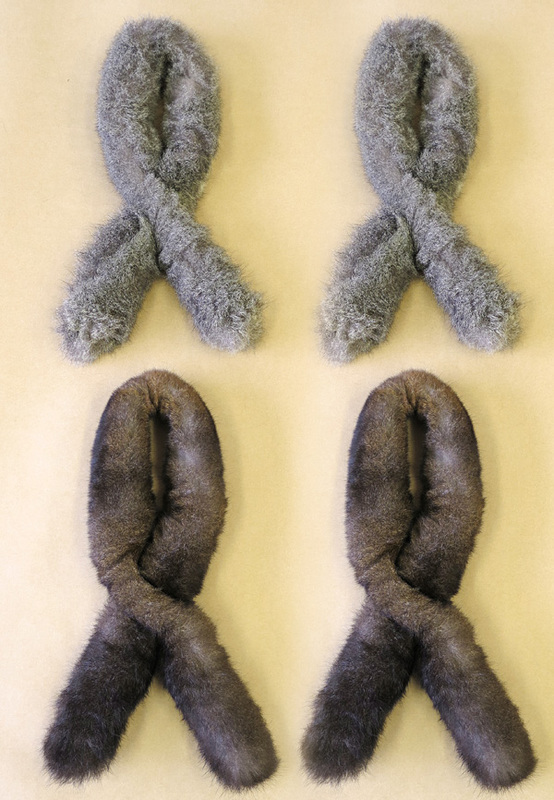 A lot of our clients love our possum fur scarves so much they wish to buy multiple items. If so, this 4 pack of possum fur sausage roll collars is just superb value. It contains 2 natural brown possum fur collars and 2 in natural grey. What excellent presents for all of the wonderful women you know. In buying in bulk, you save NZ$121 from buying as individual items. There’s also our free or heavily subsidised international freight to tempt you as well. These tubular constructed possum scarves are designed with a button hole to let the other end pass through and then one can adjust up of down depending if one wants it sitting high around the neck or lower down. Wow, possum fur front and back for snuggly warmth on a freezing Winter’s day! If you are a corporate wanting quality New Zealand made goods as gifts to give to clients, or if you are a generous soul that loves giving end of year presents, or if you are a shop wanting to re-sell our product, or you are a tourist who wants to simplify your holiday shopping, then this deal is for you! As manufacturers, we prefer to make in quantity per order and thus can pass these great savings onto you.